Traveling is expensive and becoming increasingly so almost daily. Even the most experienced travelers are hard pressed to find the best deals on airline tickets, car rentals, and other costs associated with vacation or business travel. One way to help lower your overall costs and save money is to eliminate purchases or fees that have little or no real value. Here a few examples of services and products you might be better off not investing in. Rental Car Insurance: Purchasing insurance at the rental desk when you rent a vehicle isn’t just expensive, it’s often unnecessary. Before you leave, check with your auto insurance carrier to see what kind of coverage they offer on rental cars. You may already be covered. If not, chances are you’ll barely notice the change in your premium payment and you can just say no when the rental agency starts the insurance pitch. Paid Internet Access: The days of the Internet café are gone. Unless you’re visiting a third-world country, you can expect to find free Internet access at your hotel. Airports, shopping malls, coffee shops and even fast food restaurants offer free wi-fi. If you have cell phone service, your smart phone will probably connect to the web, and recent models will act as a hot spot to allow you to connect your laptop. Make sure you have international coverage on your mobile account and be aware of data charges. National Access Cell Phone Plans: Even without considering Internet access as above, if you travel out of the country often, you should invest in a calling plan with global access. The higher rate will more than pay for itself in savings on international roaming fees and long distance charges. Any Credit Card Purchase in a Foreign Country: Keep your credit card in your wallet when you leave the country. Any purchase you make with your card is going to be subject to a foreign transaction fee unless the credit card specifically states otherwise. It isn’t always high, but it isn’t worth paying, either. It costs the bank no more to run the transaction. Use the ATM instead. Any “Pay Now, Travel Later” Plan: We’ve all seen the offers that promise huge discounts on all sorts of travel packages if you pay for them immediately and use them as needed. 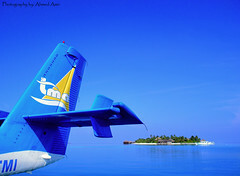 Some are touted as “travel clubs” and others may be certificates or coupons. No matter what the guise, most of these offer very little real savings, all have limitations in the fine print and some are out-and-out scams. Timeshares: Timeshares can quickly become more of a burden than an asset when traveling. The fact is, not many people want to spend their vacation time in the same place year after year. That means that you’re either going to be constantly listing the unit for exchange or trying to sell it. Exchanges can be great, but can take a lot of time and effort up to a year in advance to put together. Selling a timeshare is all too often a long, painful process that ends with a huge loss or in a timeshare trap. Recreational Vehicles: Travel trailers, fifth-wheel packages and motor homes can cost the equivalent of many years of your salary. Some units depreciate at an alarming rate. They require a substantial amount of space for storage and regular maintenance is important. That means that in order to see a return on your investment, you need to save money by using them as your home away from home on a regular basis. If you can’t afford to put your vacation rig on the road anymore, you probably should consider whether owning it is practical. “Quick” Travel Insurance: Buying insurance like the kind offered you after you book a flight online is rarely a good idea. The insurance company is counting on the customer making an impulse buy. Most of these policies pay under only very specific circumstances. Travel insurance can be a good investment, if you shop for the right coverage at the right price. “Travel Agent ID” Cards: This item is a full-blown scam that’s taken in a lot of frequent travelers. Anyone selling you a card that’s supposed to give you the same discount rates on travel as an agent is committing fraud. These “packages” may cost $1,000.00 or more, and will often claim to provide dividends for signing up your friends. In the end, these IDs won’t be honored by any travel providers. Baggage Fees: Okay, so there are times when this one is unavoidable. Nevertheless, you aren’t getting your money’s worth when you pay air fare and have to pay for your luggage separately. Unfortunately, only one airline doesn’t charge for bags and there will be times when you can’t book your flight on that airline. While this article doesn’t intend to endorse any airline, unless there’s a substantial difference in rates, Southwest is probably the best place to put your money if they fly to where you’re going. Learning to invest your travel dollars wisely might mean more travel opportunities. If one or two of the items listed above strike a chord, perhaps some adjustments are in order. With the price of gold challenging new all-time highs on a regular basis, more and more investors have begun to consider if the commodity should be a part of their retirement plan. Classically overlooked for multiple reasons, given the current economic landscape, gold should be an element of your retirement fund. Successful retirement planning requires being fully aware of fundamental changes to multiples factors and markets; recent shifts in these forces make gold an important part of a comprehensive plan. Gold has been historically overlooked as a part of retirement planning for several reasons. First, securities that are based on commodity prices tend to only come in large denominations and have a healthy amount of volatility. Prior to the introduction of ETFs, futures were the most efficient way to invest in gold; these contracts are large and not appropriate for most investors based on their complexity and volatility. The other option that was available, other than financial instruments, was to buy physical gold. As most financial planners are merchants of financial products, not physical assets, gold was rarely considered. For better or worse, financial planners are generally focused on those products that can make them a profit. Within that context they may try to be helpful, but if they cannot make a profit, there is no incentive for them to consider other options. Each of these options have different strengths and weaknesses, but each make it more feasible for gold to be included in one’s retirement plans. ETFs, for example, give you direct access to the gold market, allow you to hold gold in a tax-advantaged vehicle, and are easy to trade in small denominations. On the other hand, ETFs do not offer any professional management features and can be volatile. Making a prudent decision between these options requires spending the time to understand the benefits of each and being able to articulate why it should be included. Gold coins are less liquid, but are one of the most stable choices. Under the current Federal Reserve regime, and given the political unrest that has spread across the globe, inflation may be the single biggest risk to economies at present. In times of high inflation, commodity prices tend to appreciate dramatically. While the Fed argues that core inflation is contained, a trip to the supermarket shows that prices are on the rise. When coupled with global uncertainty that has threatened the strength of the dollar, an investment in an intrinsically valuable resource that maintains its value under all conditions gives you some safety in any otherwise uncertain period. Locks, alarm systems, man’s best friend, even security cameras and gates—you know the best ways to protect your home from burglars. But do you really know how to protect your bank account? Many people think they do, but considering the myths and poor information circulating around this topic and the constant evolution of digital theft, what you think you know might not really be practically effective. So how do you truly protect yourself from such fiscal thievery? 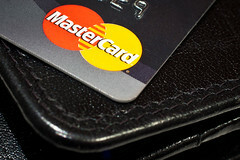 Many people believe the answer to be use of a debit card. Debit cards, they believe, have better fraud protection capabilities than do credit cards and are thus safer spending vehicles. But, since the safety of your money is far too important to rely on hearsay, what say we test the veracity of this belief ourselves? To do so, let’s consider what would happen if someone managed to access your account, either by physically stealing your card or by intercepting your account information online. Therefore, you aren’t ultimately on the hook for any fraudulent charges made by whoever accessed your card. The exact process you go through when dealing with credit card fraud differs on a case-by-case basis. In some cases, credit card companies notice fraud before you do, thanks to software that analyzes spending patterns, and block fraudulent transactions proactively. In others, you have to report charges that you did not make, and in all cases, you should report your card as lost or stolen as soon as you notice. Whatever the case may be, you won’t be required to pay for disputed charges until your credit card company confirms your claim is legitimate. This prevents collateral damage as a result of credit card fraud. For example, since you’re not responsible for the disputed charges, you aren’t at risk of running out of money to pay for your other monthly obligations because of disputed charges. This just goes to show that credit cards and debit cards provide the exact same protections against identity theft and fraudulent transactions. So, whether someone physically gets their hands on your card or steals your information digitally, you aren’t out any money…in the long term. As you probably know, when a purchase is made with a debit card, money is removed from the checking account tied to this card instantaneously. And while debit cards also have protections that block fraudulent transactions proactively, some unauthorized purchases might slip through the cracks. Thus, while you’re guaranteed to get your money back, the very nature of a debit card actually makes fraud particularly difficult to deal with in some cases. For instance, if you don’t notice that money had been withdrawn from your account before you mail checks to whomever you owe monthly payments, you’ll have a mess on your hands. You’ll get your money back from your debit card provider, sure, but you will also have to go through the hassle of sorting out bounced checks and possible credit score damage incurred as a result of them. Thus, while credit cards and debit cards technically provide equal fraud protection, credit cards actually make unauthorized transactions easier to deal with. The bottom line is that, no matter what type of electronic spending vehicle you use, there’s always a chance you could fall victim to fraud. Luckily, while you’re unlikely to be able to prevent a determined and capable cyber thief from accessing your accounts, you will not lose money because of it. Your bank might, but that’s what insurance is for, isn’t it?